Atlantic salmon are not native to the Pacific Northwest, but the fish have been farmed in Puget Sound for roughly three decades. Now, Washington state has banned Atlantic salmon farming. As John Ryan reports for NPR member station KUOW, Governor Jay Inslee signed a law last week restricting non-native fish farms in Washington state waters. The move comes eight months after the failure of a commercial net pen—a large underwater enclosure used to contain farmed fish. According to the state’s investigation of the incident, between 243,000 and 263,000 fish of the 305,000 in the pen escaped as a result of the net collapse. As of January, only 57,000 had been recovered. The company that operated the farm, Cooke Aquaculture Inc., blamed the net collapse on high tides and currents, as Smithsonian.com reported last summer. But the state report suggested the incident happened because of “insufficient attention to engineering” and corrosion of structural components. A lack of proper cleaning likely contributed to the failure, allowing the excessive buildup of mussels and other creatures on the nets, which increased pressure on the structure. The event sparked scrutiny of Atlantic salmon and commercial fish farms. Farmed Atlantic salmon don’t typically survive in the wild, and no group of Atlantic salmon has been known to establish itself in the Pacific Northwest on its own, NPR previously reported. After decades of farming and supposed “domestication,” Atlantic salmon are now much more commonly raised in captivity than their Pacific counterparts, NPR’s Courtney Flatt wrote last year. They grow quickly in cold waters, are resistant to disease and are apparently more docile than wild varieties. 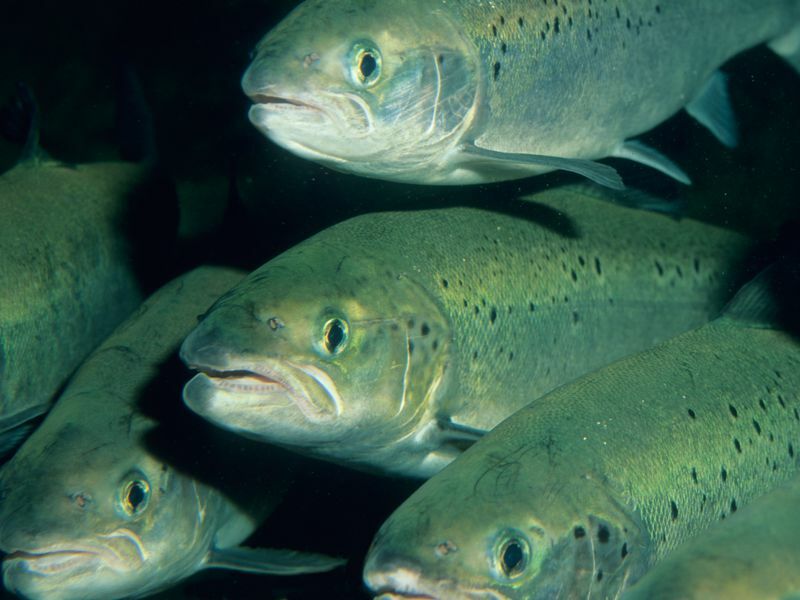 Environmental organizations, however, worry about the impact of escaped fish on native Pacific salmon, concerned about competition for food and spawning grounds. After last year’s net failure, some groups, such as Puget Soundkeeper, began calling for the end of Atlantic salmon farming. The law is an attempt to prevent these kinds of incidents from happening again. “These [farms] present a risk to our wild salmon runs that we cannot tolerate,” Inslee says, according to Ryan. The legislation originally included a provision stating the state would research and revisit the issue at a later date, but the governor vetoed that provision, effectively bringing an end to the practice of Atlantic salmon farming in this region. The law phases out the farms by 2025. But as Ryan reports, the leases with the Washington Department of Natural Resources of the state’s remaining Atlantic salmon farms, all owned by Cooke, expire in 2022. In a statement, Cooke spokesperson Joel Richardson says the company will comply with the phase out. According to its website, Cooke also operates in Maine and Virginia and in Canada, Europe and South America.